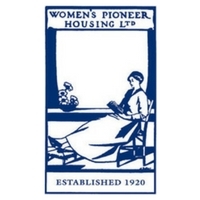 Women’s Pioneer Housing is London’s largest provider of low cost rented homes to women and women-headed households who are increasingly priced out of London’s housing market. Managing over 1000 homes in Kensington & Chelsea, Hammersmith & Fulham, Westminster, Wandsworth, Ealing, Harrow and Hillingdon they are today one of the few social housing landlords still building new homes in central London. Over the next 4 years, their current site in Wood Lane W12 will be demolished and redeveloped to provide further residential units alongside a new HQ office. Our team at Rapport are proud to be part of this process and will work with the organisation to manage the detailed solutions’ dialogue phase of the procurement. This will involve identifying workspace needs, evaluating design proposals and commenting on how they might be improved. A temporary relocation for the duration of the construction period will be put in place. Our team will continue to support Women’s Pioneer through each phase of the development to ensure that the new office accommodation delivers their organisational requirements for the future. Rapport continues to provide professional and innovative construction consultancy services for an increasing range of clients and their projects, in both the public and private sectors. With a history of working with Housing Associations, we have previously delivered projects for Shepherd’s Bush Housing Association, Rosebery Housing and currently, in the middle of a project for Thrive Housing. Additionally, as lead consultants, we have advised procurement options to other associations considering relocation and refurbishment projects.